Wrestling is a form of grappling type techniques such as clinch fighting, throws and take downs, joint locks, pins and other holds. 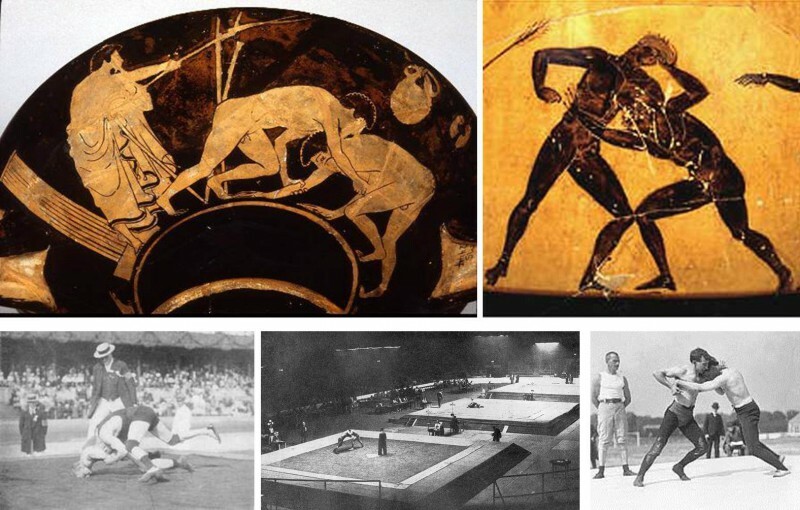 Wrestling is one of the events that have been included in the schedule of the modern Summer Games since 1896, Athens. Since then, Summer Games wrestling has been included in every Summer Olympic Games except the 1900 Summer Games and has made a permanent place in the Olympics program. 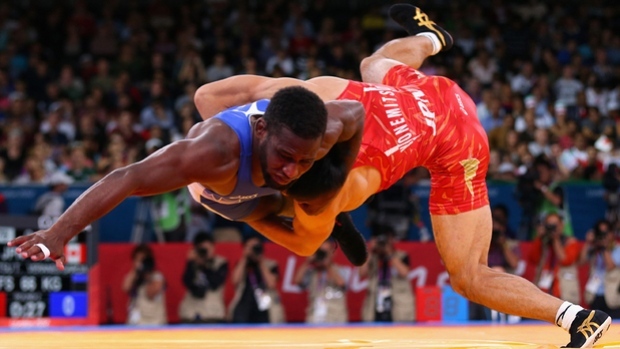 There are two different type of wrestling included in Olympic program are freestyle and Greco-Roman wrestling. These two styles are very much similar but have different rules and regulation. In Greco-Roman Wrestling, a wrestler may not attack his opponent’s legs, nor use his own legs to trip, lift or execute other moves. The wrestler must wrestle from standing without the top of his head against his opponent’s chest. This is called passivity, and will result in a call of “CONTACT” by the official. The official will say “contact red” or “contact blue” before actually indicating passivity by holding an open palm hand in the air with the offenders color indicated. There is also a slight relaxation in not requiring a high arch by the attacker when a gut wrench is initiated on the mat, plus some modifications on hand attack when escaping. In freestyle Wrestling, both the arms and legs may be used to execute holds or to defend against attack. 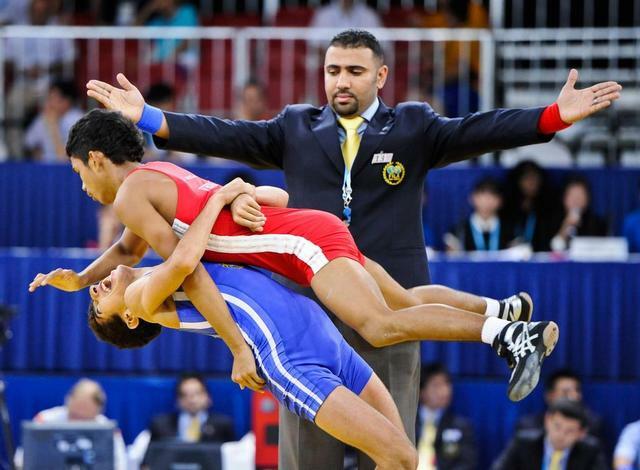 If legs are used as part of the attack by an aggressor, no points are scored and the wrestlers are returned to standing. Only one official needs to see the leg usage for the move to be nullified. If legs are used to prevent a move, the attacker receives whatever points are gained, a caution point or points, and choice of position. If a throw from standing is blocked, the attacker receives 2 points plus the position choice. If a move on the mat is prevented, the attacker receives 1 point plus choice. In either case, the offender receives a single caution. There is many clubs which provide you training for both these techniques and one of the best that I’ve know is VHW (Vougar’s Honors Wrestling). 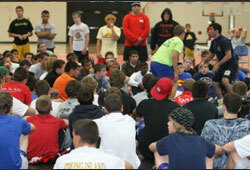 VHW Club offers a summer wrestling camp created to increase student’s wrestling skills.